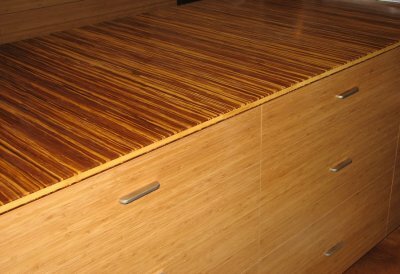 woven strand bamboo countertop in a modern bamboo kitchen sits atop a large 3' by 10' island. The countertop is sealed with a hand rubbed oil finish. Several times harder than oak, this countertop shows no signs of use after 4 years of entertaining and regular use.